Emily received her PhD in Biological Chemistry at the University of Cambridge in 1996. Her recent research with the Maurice Wilkins Centre and Ferrier involves exploring the evolution and molecular details of enzymic catalysis and regulation, utilising a range of chemical and biochemical research techniques such as small molecule synthesis, protein engineering, and molecular and structural biology. Much of her team’s research aims to aid the development of novel agents with potential for use in treating tuberculosis and meningitis. “It’s wonderful to see Emily’s work recognised with this appointment," said Professor Rod Dunbar, Director of the Maurice Wilkins Centre. 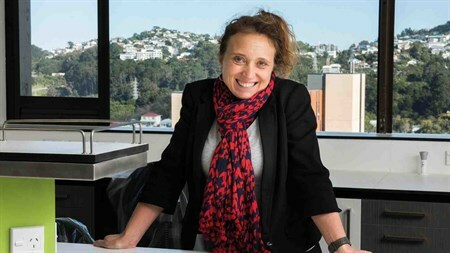 "She is an outstanding scientist and also a natural leader who’s contributed hugely to many different scientific institutions in New Zealand. Since her 2015 appointment as a Principal Investigator in the MWC’s management committee, Emily has led a number of successful initiatives, such as establishing the Early Career Researcher Steering Group, and co-directing two Flagship programmes, in Peptide and Protein Engineering and Anti-microbial Resistance.